Just a day after starting pitcher Patrick Corbin signed with the Nationals and outfielder Chris Owings landed in Kansas City, the rebuilding Arizona Diamondbacks traded franchise cornerstone Paul Goldschmidt to the Cardinals for pitcher Luke Weaver, catcher Carson Kelly, infielder Andy Young and a 2019 Compensation Round B draft pick. It’s hard not to look at this trade as anything but a win for the Cardinals. 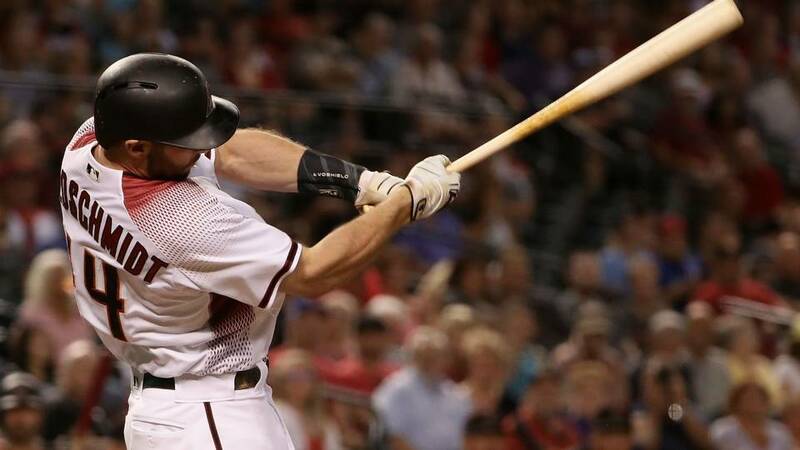 Goldschmidt is one of the best first baseman in the game both on the field and at the plate. Along with his four Silver Slugger awards, he has won three Gold Gloves and has been named an All-Star six times. But the most significant issue for the Cardinals is that Goldschmidt is in the final year of his contract at a reasonable $14.5 million, so they will need to work on signing him to an extension. Additionally, he is no spring chicken as he just turned 31 last September. Arizona, on the other hand, needed young controllable assets, which they got, though the return is not quite as good as you would hope. Weaver, a former first round draft pick, has failed to live up to expectations. last season, the 25-year-old went 7-11 with a 4.95 ERA and saw a steep decline in his strikeout-to-walk ratio, dropping from a career average of 10.9 to 8.0. He also walked one full batter more per nine innings. To be fair to Weaver, however, he has also also been a victim of bad BABIP with a mark of .318 last season being a career best. Perhaps a change of scenery will help Weaver, but the most attractive thing about him is the fact that he is under team control for the next four seasons. Given his age, it’s hard to see him improving from what he currently is. Carson Kelly was once one of the best catching prospects in baseball, but he has failed to show anything in his time in the major leagues, albeit in limited action since Yadier Molina has been blocking his path. He owns a career slash line of .154/.227/.188 with just four extra base hits in 131 career plate appearances. He showed some potential behind the dish in 2017, throwing out five of 11 base stealers, but failed to throw out any of the five runners who attempted to steal a base on him last year. He struggled defensively in 2018 overall, but he is also young (he is entering his age 24 season), comes with six seasons of team control and a more clear path to consistent playing time as he will likely split catching duties with Alex Avila in 2019. Young is a 24-year-old who was selected in the 37th round of the 2016 MLB Draft. He played well between Single A and Double A last year, hitting .289/.379/.479 with 21 home runs, but he was a bit on the older end of Single A players. He’s not exactly a player worth holding your breath on even with a promising 2018 campaign. Ultimately, the Diamondbacks got a very underwhelming return on their best trade chip and are now in the position where they have to hope the two once promising prospects in Weaver and Kelly flourish out in the desert. Zack Greinke will likely be the next player moved, so Arizona shouldn’t be done dealing.